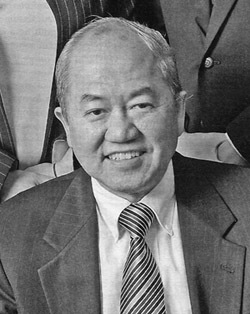 Edgar E. Lim received his B.S. in Finance from Saint Louis University in 1972, his J.D. from Saint Louis University in 1974,and his LL.M.in Tax from Washington University in 1975. He worked at Peat, Marwick, Mitchell & Co. from 1976-1977, General Dynamics from 1978-1980, and has been in private practice since 1981. Ed is also a member of the Missouri Asian American Bar Association, and currently maintains his office in Shrewsbury, MO where he practices exclusively in immigration. The Lim Law Office serves the St. Louis community through general law practice and immigration law. Our website is still under construction. Please feel free to call our office.